On Sunday, at the sod-cutting ceremony of the new ground-breaking Atatürk Cultural Centre in İstanbul, Turkish President Recep Tayyip Erdoğan announced that Value Added Tax (VAT) will be reduced to zero for books and periodicals in Turkey. In his speech, Erdoğan said that VAT on both printed books and periodicals, such as magazines and newspapers, will be cut to zero. He said the move is aimed at making books and printed media more affordable, and to support publishers that have been disadvantaged by the digitalisation of the industry. Erdoğan stated that the implementation of laws pertaining to the reduction of VAT to zero on printed media will be discussed in parliament this week and will be extended to all publishers and vendors. Turks have already been buying books, magazines and newspapers directly from licensed publishers or from their websites paying no VAT since last week. The new law that reduced the VAT rate from 8 percent to 0 percent for direct sales from publishers was already passed in Turkish parliament on January 17, 2019, but the rate has not yet been reflected on bookseller or vendor prices. This will change with the implementation of the new law. 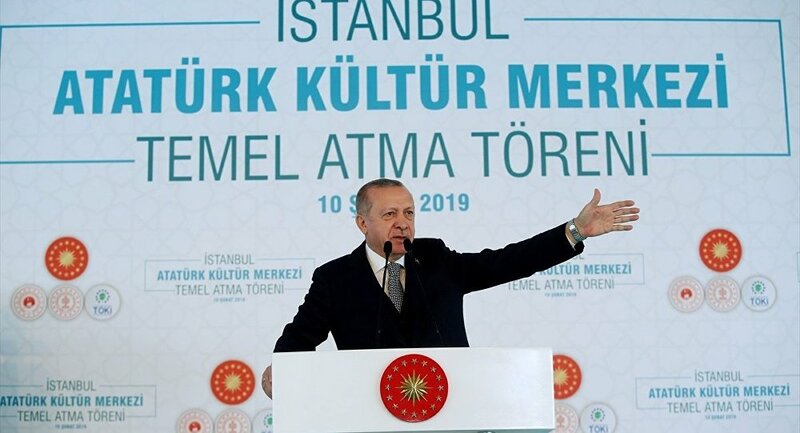 During the ceremony, Erdoğan also said that the completion of the construction of the new ground-breaking Atatürk Cultural Centre, located in İstanbul’s Taksim neighbourhood, will be completed soon. Erdoğan also noted, at the ceremony, that the Rami Barracks (Rami Barracks were an Ottoman and later Turkish army barracks located in the Eyüp district in the European part of Istanbul, Turkey) will soon be turned into Turkey’s largest library.